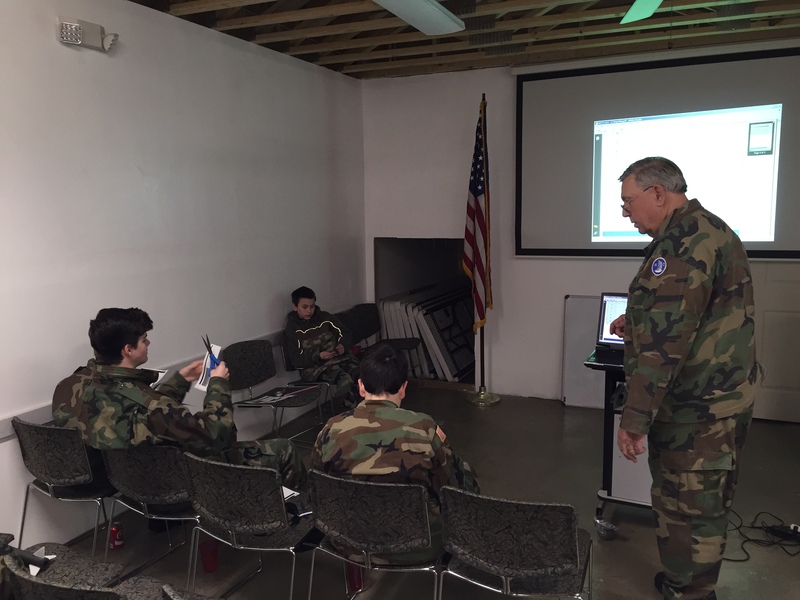 2/28/2014–Asheville, NC– Asheville Composite Squadron Saturday, February 28 completed the annual AE day which had been cancelled the previous week because of weather. Several activities were scheduled in addition to model rocketry there were O-flights, ES, and AE training at the Asheville headquarters. During the day 15 cadets took part in the activities, seven cadets completed three rocketry tests and hands on phase for the Redstone phase of the program, six cadets completed an additional two AEXs, five cadets attended Lt Col Wally Courtney’s AE module 4 class and completed the test. Also five cadets spent two days in the field to complete the requirements for UDF in a totally separate Emergency Service part of the weekend's events. Finally there were 12 O-flights of which four were first flights with five pilots as O-ride instructors. To add to the weekend's accomplishment there six senior members who worked on the final phases of construction of the Asheville Headquarters building. A very busy and very successful weekend for the Asheville Composite Squadron.